Hello, I am a student at a high school and after I graduate high school I am thinking of studying in Uruguay. I am from El Salvador and I want to study and live in Uruguay because I have heard many great things about Uruguay such as Montevideo, how it is very affordable to live in the city and that the education is one of best in South America and there is a very low crime rate. I just had a quick question I was reading somewhere that with only $500 a month you can live on and that with $1000 you will have a good life in Uruguay can you confirm that because that sounds too good to be true. Also just one more question to live in the center of Montevideo rent is only $570.00 plus $100 or more for electricity,water internet can you confirm that as well because I am very interested in living in Uruguay because it sounds like a great country. Thank you for you post and your questions about Cost of Living in Montevideo. I have back in Montevideo Uruguay since March 1, 2012 and have been trying to get settled into my new life here. In regards to your question. 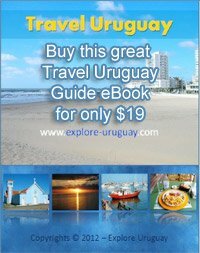 I have posted lots of pics of cost of living on our Explore uruguay facebook fan page. All of the cost of living in Uruguay picture have been taken in March 2012 so, it is accurate and current. Also, in regards to rentals I can put you in touch with a friend of mine who has a Uruguay real estate rentals website. To sum things up, it is no longer as cheap to live here as it was 4 years ago. However, depending on your lifestyle and how hard you look, and where you want to eat and live, you can still live here and enjoy a great, and comfortable lifestyle for less than the USA or Canada. If I can help you with any other questions, please do not hesitate to post a comment here and I reply as soon as I can. Join in and write your own page! It's easy to do. How? Simply click here to return to Write for Explore Uruguay.